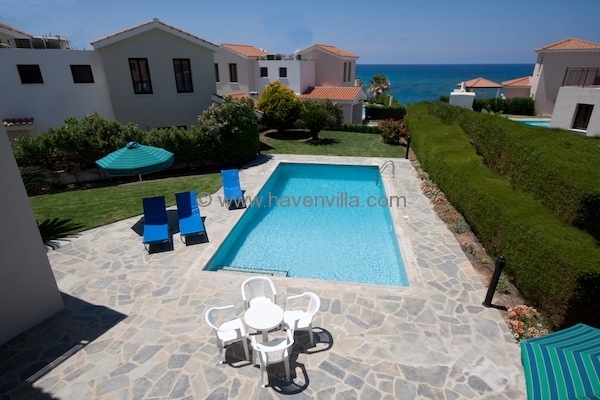 Luxurious three bedroom holiday beach villas, 100 meters from the sea and 400 meters from a sandy beach. 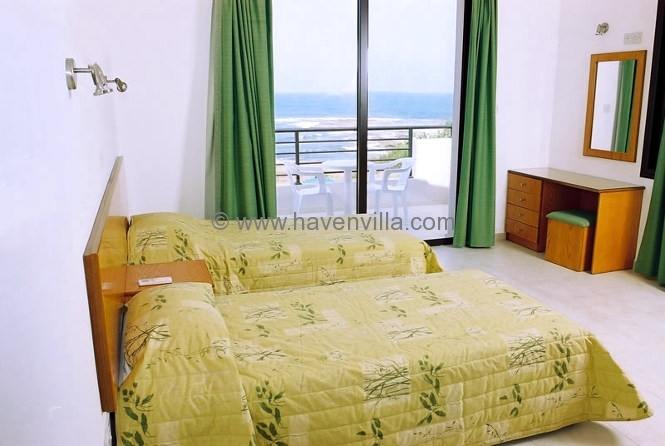 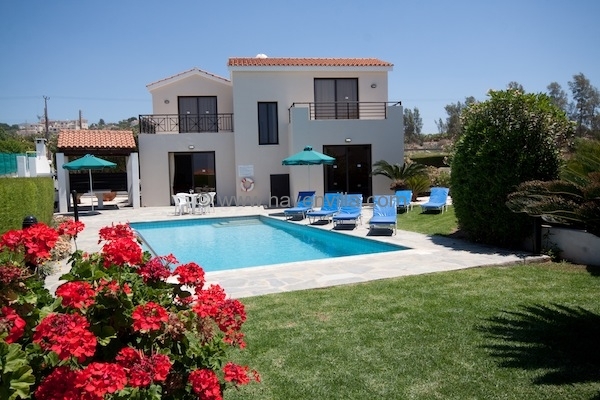 Each villa is tastefully decorated, comfortable, airy and offers breathtaking sea views. 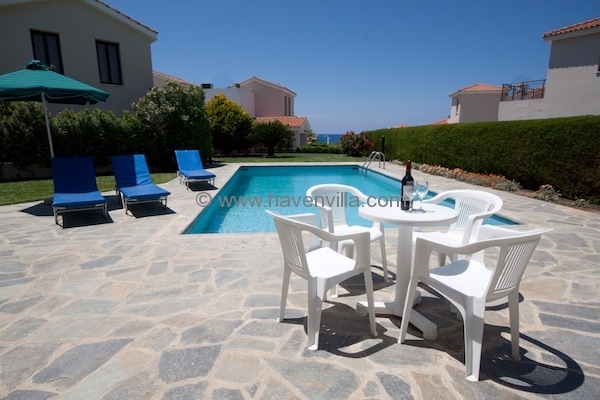 All have private pools and parking. 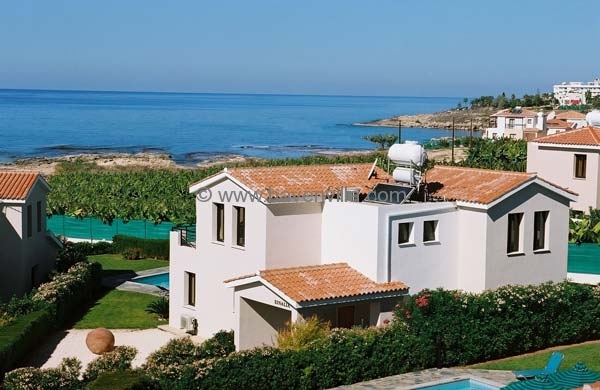 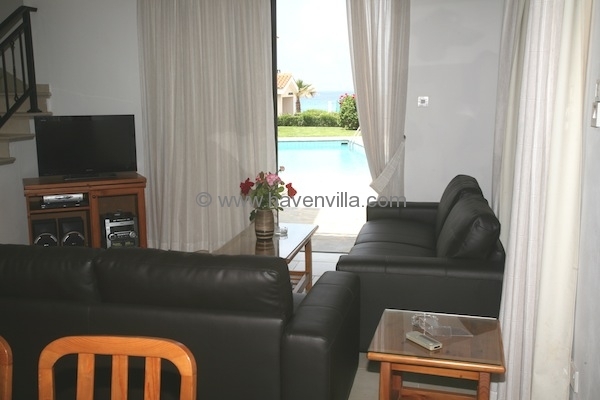 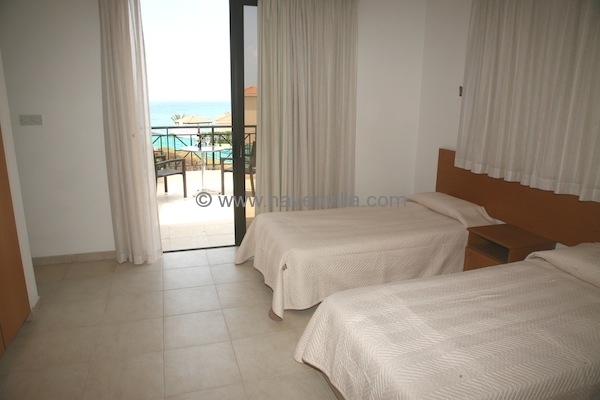 Located in Kissonerga village, one of the coastal villages in Paphos, 2 miles from the renowned sandy beach of Coral Bay (European blue Flag) and 4 miles from Paphos town. 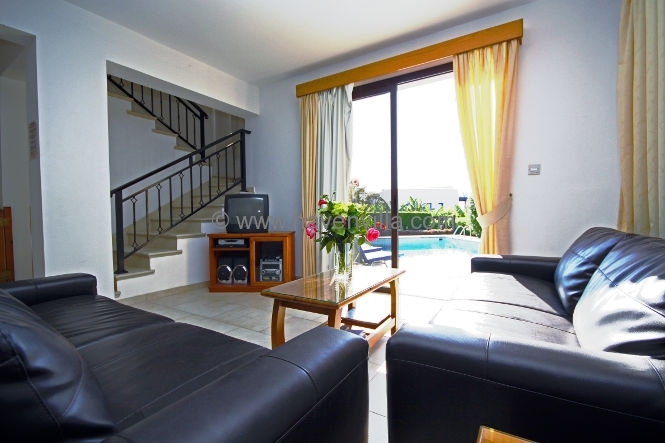 Easy walking distance to a variety of bars and restaurants. 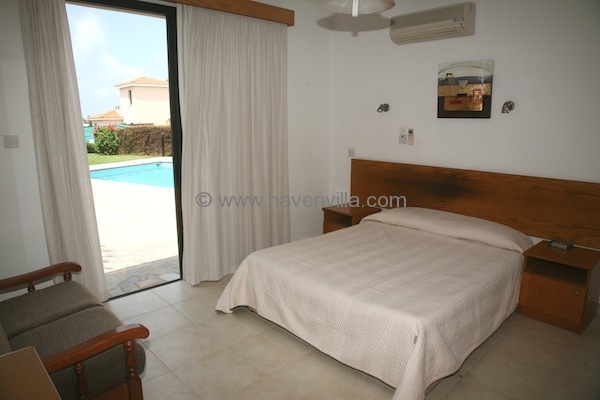 As you enter the ground floor of each villa, you will see the downstairs bedroom, which offers a large bathroom, WC and hair-dryer.